Those inquisitive enough to scour the retail box for the Wii edition of upcoming release Call of Duty: Black Ops will have noticed a slightly distressing text in which a guideline reads “Online gaming is subject to an additional fee,” spotted by NeoGAF member Jethro. In quick comparison, the box art of similar online multiplayer titles such as Mario Kart Wii, Super Smash Bros. Brawl, or even the recently released Goldeneye 007, contains no such statement. So, what precisely does it mean? 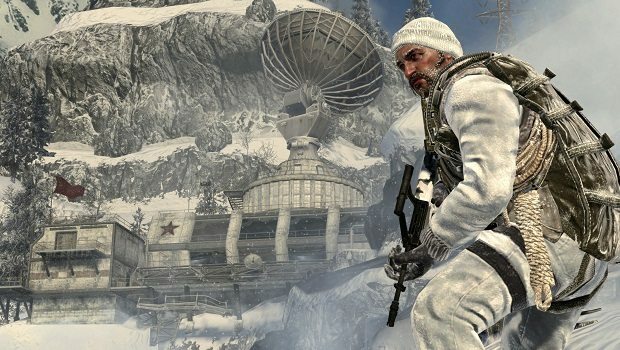 Whilst is has often been rumoured that Activision would introduce subscription fees for the ever popular multiplayer aspect of their Call of Duty series (something that has been denied outright at every turn), we can expect such a statement here to be more directed towards the release of future downloadable content. Especially considering that Wii owners are finally being treated to the sleeper hit Zombie survival mode this time around. Whilst less popular than its Xbox Live and PlayStation Network counterparts, Nintendo have never charged Wii users to play online and presumably would rather deny Activision the rights to release such a title on the console than resort to offering subscription services. You must me desperate for hits on this site. These types of disclaimers are on EVERY game. They usually refer to the need to have your own internet service provider. In this case, its CLEARLY stating right after the fee notice that you may have to buy a wireless router and active broadband access as you cant play the wii out of the box online as it has NO ETHERNET port. Who ever wrote this must feel silly now. Not really Kris, as stated within the post this isn’t found on any other box art for Wii titles – even those that form the minority of the consoles multiplayer offerings. There is no such mention of “additional fees” for Goldeneye 007, for example, which is from the same publisher. Even so, we state that it is presumably for downloadable content, but as I say this isn’t something that has been seen before for the console. Ok, but they’re on EVERY PS3 case I have and 360 case. Its not about fees to play, and its not about DLC. Lets breakdown the sentence. Online gaming is subject to an additional fee. Ok, Its saying that gaming online may require an additional fee. ok, if youre right about it refering to DLC, that means that if we use the same sentence and your logic together, that you will have to buy the DLC to game online. Does that make sense? No, not really. So, if its not DLC, what else could it be? A subscription? Absolutely possible. Likely? I dont think they would roll out a subscription fee with the Wii version and not the other versions on PS3, 360, and PC. What seems more likely is that this is the same type of disclaimer used, like I said, on PS3 games and 360 games, and even PC games which refers to the fact that you cant just plop the disc in and play online…you have to have your own internet access and, in the case of the Wii, with no built in ethernet, a wireless adapter, which is an additional cost if you want to game online. They’re on every Xbox 360 case due to having to pay for an Xbox Live Gold subscription to play, however on PlayStation 3 copies this isn’t the case. Using Fallout 3 and Resident Evil 5 as two examples where downloadable content is available down the line, neither make any mention of “additional fees” which nullifies that argument. Also, using a further Activision title as an example for multiplayer, Transformers: War for Cybertron for PS3 merely states “Charges apply for some content” which is in specific relation to DLC rather than having such vague text as Black Ops on Wii that writes “Online gaming is subject to an additional fee.” I did look into this thoroughly before I posted. Of course, we disbelieve the fact that Activision would charge for online play, and yes, we do think that it is more than likely to be downloadable content. Yet we’ve discussed all that within the post, so seems pointeless to reiterate that here. You’re just not understanding the language of the statement. It doesn’t make sense if it is referring to DLC. It would say DLC was subject to fees. Why would it say that gaming online is subject to additional fees if it was referring to DLC? They;re not interchangeable terms. Just take a step back from your knee jerk reaction and think about the words you are reading, their context, and what that language has meant in the past. Yes, on 360 theres the XBOX Live disclaimer for multiplayer gaming, but, before that on PC games and now on PS3 games, it is clearly stated that additional fees apply due to needing your own ISP and internet connection access. I need to stop arguing but its just annoying to read these rumors that are interpreted so wrong. Kris, I can understand the English language perfectly well. Of course it could be referring to broadband fees, I’m not denying that. My point is that such text has never been used in such way on retail copies of games, and the examples I have provided you with cover such fact. On the PlayStation 3 version of Blood Stone, the text reads “Broadband internet sevice required. Users are responsible for broadband access fees,” the same for Xbox 360 alongside Gold subscription, and on Wii there is “Either a compatible wireless router or a Nintendo Wi-Fi USB Connector (sold separately), as well as active broadband access, are required for online play” which is evident on all multiplayer titles and within the photo above. Never has the line “Online gaming is subject to an additional fee” been used, aside the fact that it mentions a “fee” rather than the plural which is what you’d expect in relation to on-going monthly broadband costs, surely? It is, of course, open to interpretation but like I have said this hasn’t been seen before on retail boxes which is why it has been drawn to everyone’s attention. With Activision having stated that they were looking into subscription fees, they could just as easily emulate what EA are doing in regards to promoting the purchase of new editions of the game with second-hand editions requiring the additional fee. Who knows though? I don’t, which is why the entire thing is classed as rumour and open to discussion. That could be a number of things. I wouldn’t assume it’s a fee for online play. Unless Nintendo will be making a better online service you pay for in time for Wii 2 or something. I don’t know.